Herb Drury and Olympic Hockey team. Pittsburgh’s three major professional sports teams have garnered multiple Super Bowl, World Series, and Stanley Cup championships, but the ‘City of Champions’ nickname extends well beyond football, baseball, and hockey. 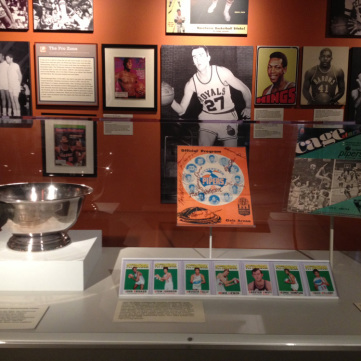 Learn the almost-forgotten tales of Pittsburgh’s champions in the Sports Museum. No city of comparable size has matched Pittsburgh’s success in sport. Our teams have won more than a score of championships and our athletes have created some of sport’s enduring moments and memories. Sport is central to Pittsburgh’s identity, as it has fostered cohesion and given diverse groups an arena in which to shine. The Sports Museum honors and celebrates the city’s champions in high profile sports such as football, baseball, and hockey, but also highlights the almost-forgotten stories of those triumphant athletes and teams who forged an identity through sports and truly transformed Pittsburgh into the City of Champions. From Olympic sports and professional basketball to swimming, soccer, bocce, and even marbles, the Sports Museum showcases the legacy of Pittsburgh’s champions throughout two floors of exhibition space. Olympic Rings: The Western Pa. region has produced dozens of Olympic athletes who have competed in both the Summer and Winter Games, some bringing home medals while others endured unforgettable experiences on the world’s largest athletic stage. See the silver medal won by two-time Olympian Herb Drury from the first-ever Winter Olympics held in Chamonix, France in 1924. View Olympic uniforms and medals from track and field stars such as John Woodruff, Candy Young Sanders, and Herb Douglas. Don’t miss a special section detailing the legendary women’s swimming team from the Carnegie Library of Pittsburgh Athletic Club, led by Lenore Kight and Anna Mae Gorman, which won regional and national titles and swam their way onto the U.S. Olympic team in 1932. 1968 ABA Champions: One of 11 original franchises in the American Basketball Association, the Pittsburgh Pipers basketball team defeated the New Orleans Buccaneers to win the first ABA championship in 1968. 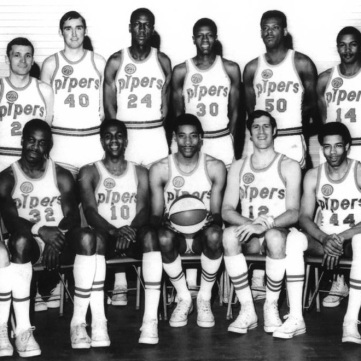 NBA Hall of Famer Connie Hawkins, who began his career with the ABL’s Pittsburgh Renaissance, was a star player for this Pipers squad. 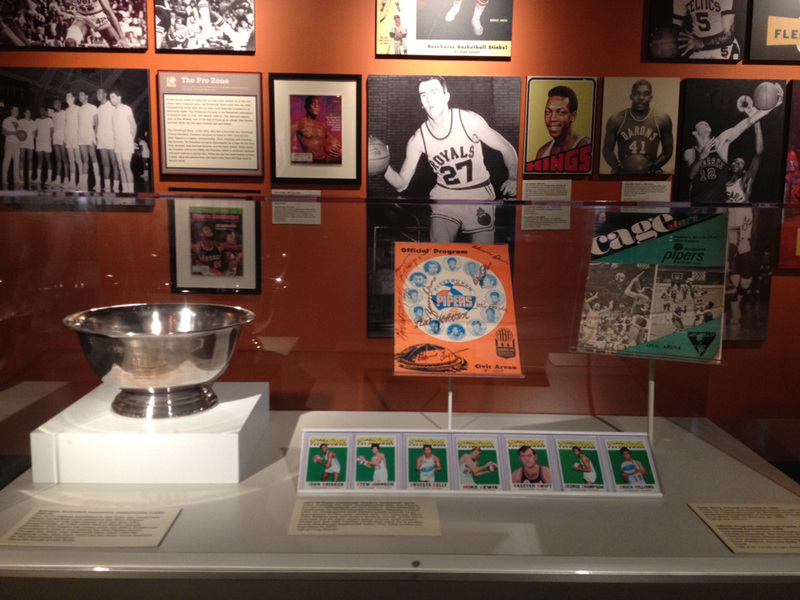 Don’t miss the Pipers’ 1967-68 ABA Championship trophy in the Sports Museum’s basketball section. Losing Our Marbles: As the nation’s center of glass production for more than 100 years and home to more than three dozen national marble champions, Western Pennsylvania has a tradition of marble playing, making, and collecting unlike any other region in the U.S. National marbles tournament winners from the Pittsburgh area date back to 1927 and span through present day. 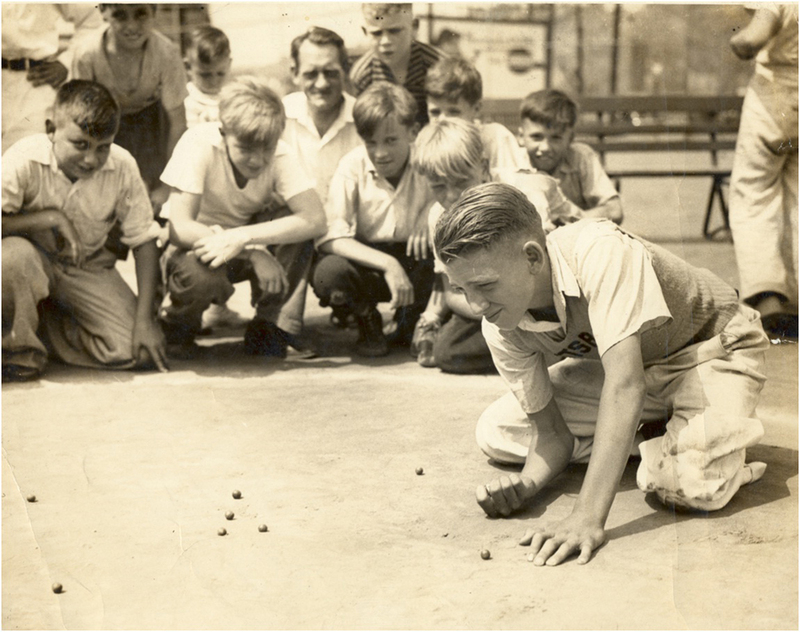 View a variety of marble memorabilia, including the trophy and sweater of Doug Opperman, a Pittsburgh marbles player who won the 1940 Marble King Tournament championship. 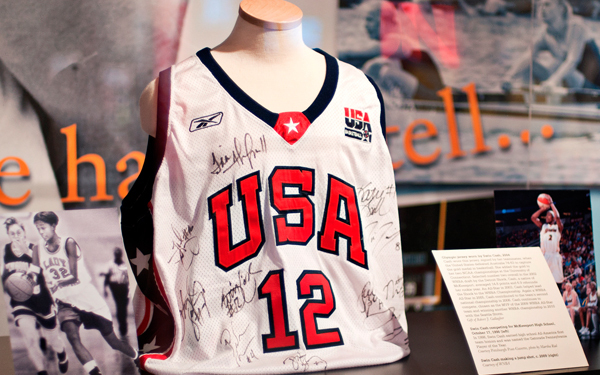 Cash wore this jersey, signed by her teammates, when the U.S. defeated Australia 74-63 to capture a gold medal in the 2004 Summer Olympics in Athens, Greece. The McKeesport native is among the most decorated players in women’s basketball history, as she has succeeded at all levels of the sport. After winning two national championships at the University of Connecticut, Cash captured three WNBA championships and earned four All-Star Game appearances while playing for five different WNBA teams since 2002. More recently, she helped the U.S. win another gold medal at the 2012 Olympics in London. Learn about some of Pittsburgh’s great sports legacies as part of these KQV Radio History Minutes recorded by History Center President and CEO Andy Masich. The Pittsburgh Pipers, who played their home games in the Civic Arena, were led by ABA MVP and future Hall of Famer Connie Hawkins. The Pittsburgh Pipers, who played their home games in the Civic Arena, were led by ABA MVP and future Hall of Famer Connie Hawkins, who led the league in scoring at 26.8 points per game. 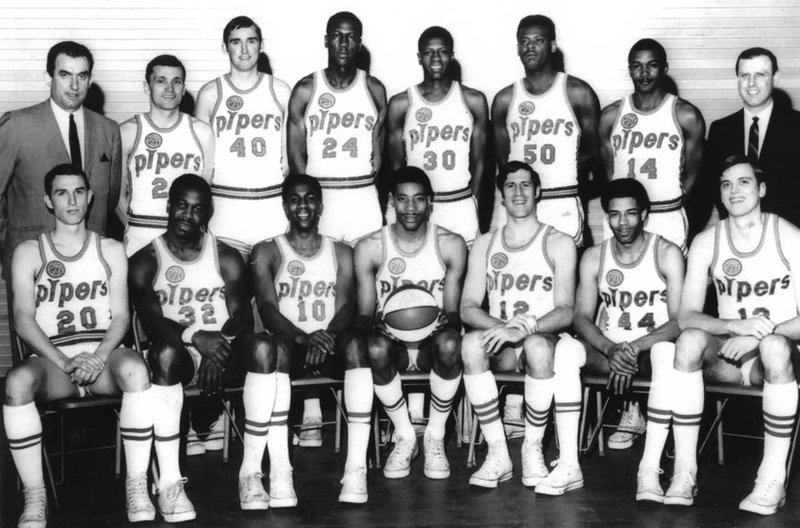 Hawkins is pictured holding a basketball in the front row of this 1967-68 Pipers team photo. One of 11 original franchises in the American Basketball Association, the Pittsburgh Pipers basketball team defeated the New Orleans Buccaneers to win the 1968 ABA championship. One of 11 original franchises in the American Basketball Association, the Pittsburgh Pipers basketball team defeated the New Orleans Buccaneers to win the 1968 ABA championship. The team’s championship trophy is on view on the Sports Museum’s basketball section. 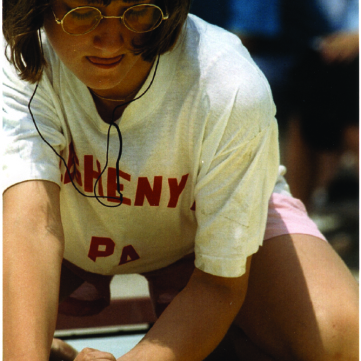 South Side native Stephanie Zlokas captured the Girl’s National Marbles Tournament Championship in 1995. 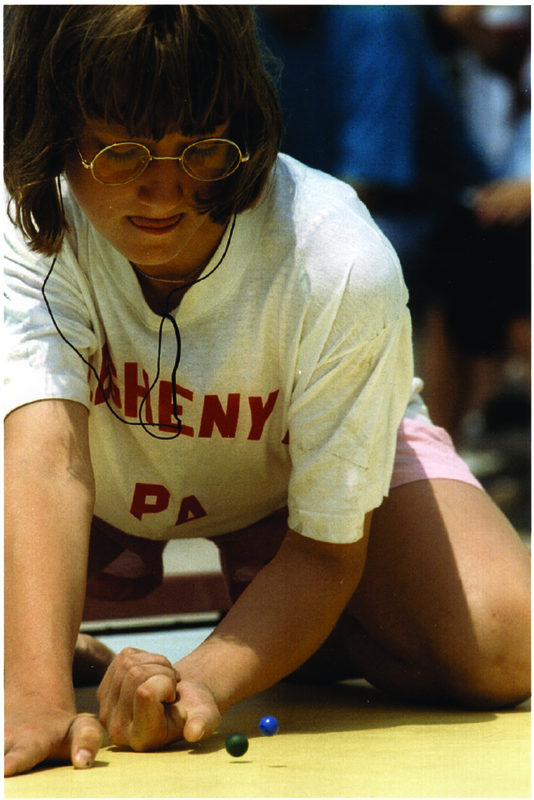 South Side native Stephanie Zlokas captured the Girl’s National Marbles Tournament Championship in 1995 on the beaches of Wildwood, N.J. Allegheny County has more marble champions than any other county or region of the country, dating back to its first champion, 13 year-old Joseph Medvidovich of Clairton in 1927. Among a variety of marbles artifacts, the Sports Museum features the trophy and sweater of Doug Opperman. Among a variety of marbles artifacts, the Sports Museum features the trophy and sweater of Doug Opperman (pictured here), a Pittsburgh marbles player who won the 1940 Marble King Tournament championship. 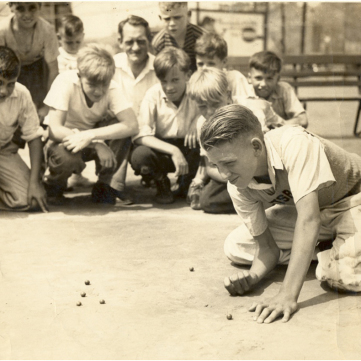 Bocce is widely considered to be the one of the world’s oldest sports. Bocce is widely considered to be the one of the world’s oldest sports. 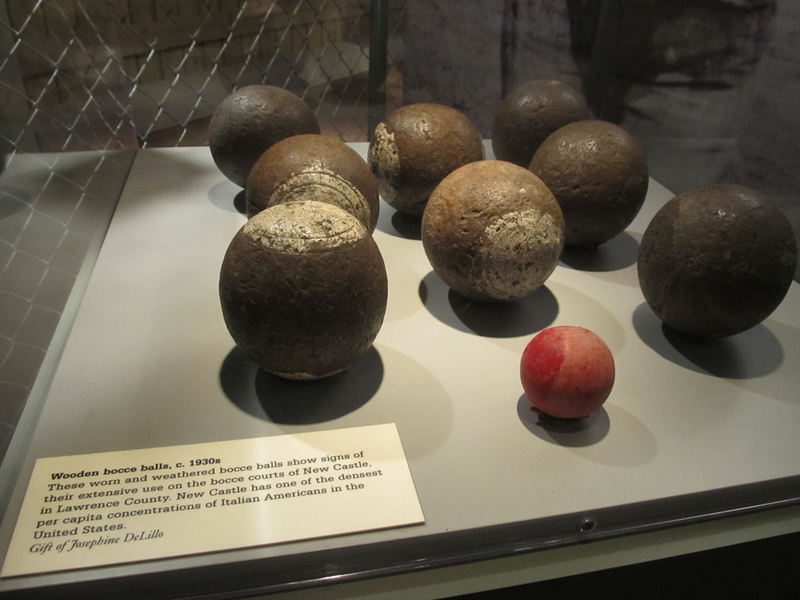 Italian American immigrants in Pittsburgh formed bocce clubs as an important venue for socialization, helping to preserve the customs and language of the Old Country. 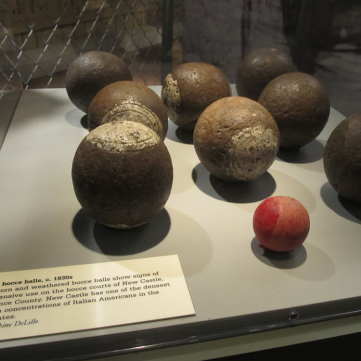 Learn more about the history of bocce in the region in the Sports Museum. 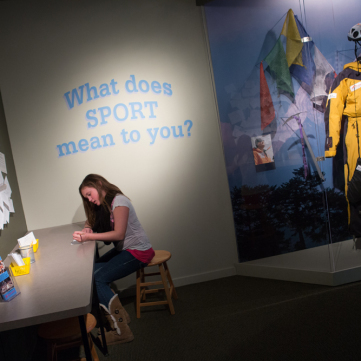 While visiting the Sports Museum, register your thoughts on what sports mean to you and which sports you’re most fond of. From amateur athletes and coaches to professional competitors and spectators, sports are an important part of life in Western Pennsylvania. 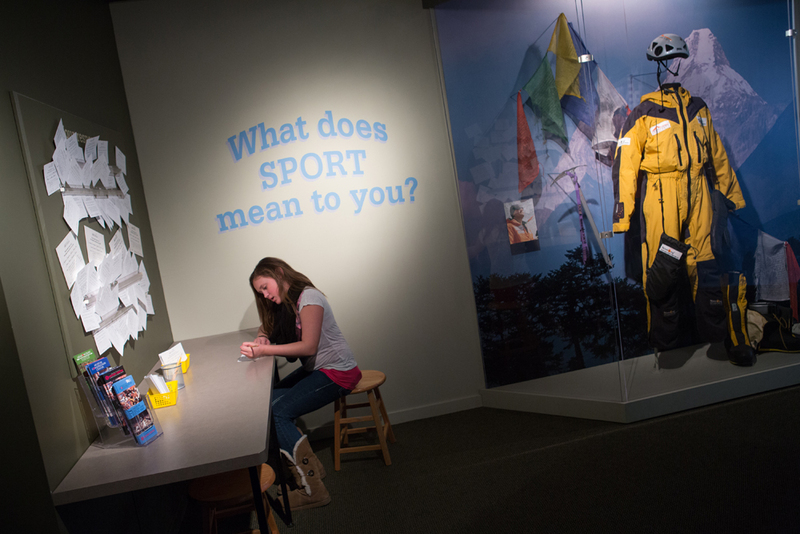 While visiting the Sports Museum, register your thoughts on what sports mean to you and which sports you’re most fond of.